These new lipsticks, with an in-built primer, are the only thing you need for primed, smooth, and vibrant lips! 29th May 2017: Having smooth and flawless lips with rich colour is every woman’s dream, isn’t it? But with fast paced schedules, getting time to look in to a mirror for a quick touch-up can get difficult. But, what if there was an effortless way to ensure that your lipstick stays intact? This is where a lip primer comes in. A primer helps fill in lines and even out texture ensuring that the lipstick has a smooth finish and stays on for a long time while giving rich color. 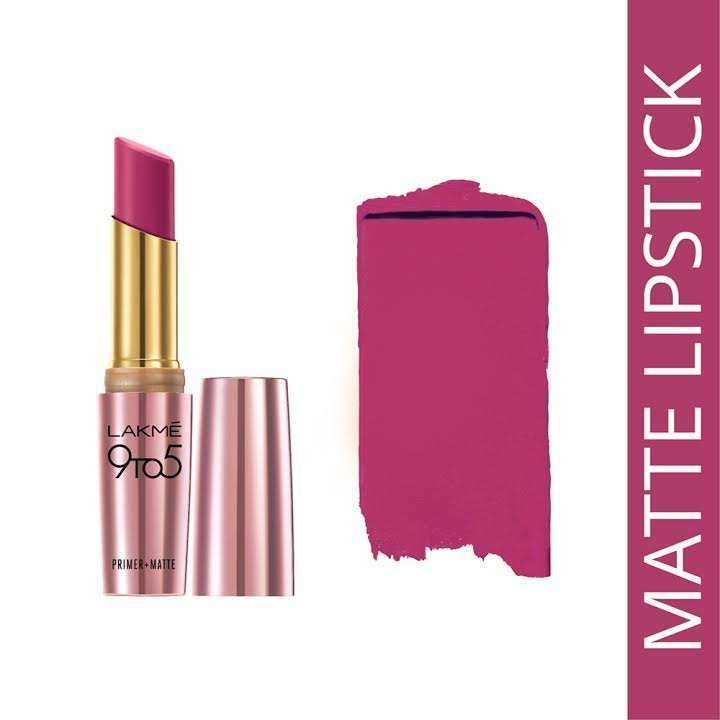 Understanding this exact need of todays working woman, Lakmé presents the new Lakmé 9to5 Primer+ matte lipsticks, the ultimate 1 step solution for primed, smooth, and vibrant lips. Living up to its name, the new Lakmé 9to5 Primer+ Matte lipsticks have an inbuilt primer that form the perfect base to get even strokes of colour. An absolute must for every working woman who wants to look confident, poised and gorgeous without having to touch up multiple times a day! With working hours getting longer, these lipsticks are the perfect solution. The In built primer allows the lipsticks to look flawless and matte for 12 HOURS NON-STOP. These matte lipsticks come in an all-new and elegant packaging and are available in 3o gorgeous shades ranging from a delicious looking ‘Maple Map’ brown to a fiery ‘Vermillion Fired’ coral, needless to say we have enough reds and pinks. Priced at Rs.480, these lipsticks are perfect for the multitasking, for the non-stop woman of today. One product to treat your lips to the smoothness of a primer and rich colours of a lipstick at the same time. Lakmé, is India’s no.1 color cosmetics and leading premium skincare brand from Hindustan Unilever Ltd. Lakmé has been the pioneer of the make-up and color cosmetics in India since 1952 by launching numerous trend leading and high performance products. Combining international cosmetic technology with an in-depth understanding of the Indian woman’s needs, Lakmé offers women a comprehensive beauty experience through its extensive product portfolio as well as contemporary services at Lakmé Salons, India’s no.1 salon chain.